One year, eight months. That's how long Randy Marlow spent waiting for a heart and liver transplant at Mayo Clinic Hospital's Saint Marys Campus. He kept a surprisingly positive attitude about it. "I came up there, they put me in the hospital, and they didn't let me leave for 596 days," he says in a Mayo Clinic News Network video about his transplant journey. "I call it being in jail with the nicest guards ever." Randy draws that comparison, we assume, because as a status 1A patient on the transplant list, he was required to stay in the hospital until a matching donor was found. That process was complicated (and lengthy) because Randy's rare blood type required "a near-perfect match." 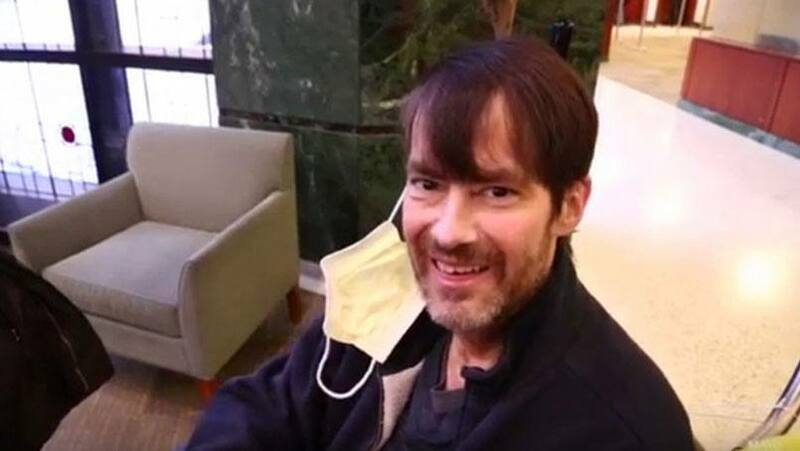 But as physically and emotionally draining as his wait was, Randy says his time on the transplant list was made easier by the friendships he forged with his care team at Saint Marys. "They became my second family," he says. The feeling is mutual. Brandon Grovdahl, one of Randy's nurses, got to know Randy well. "I think almost every day, from 4 to 5 o'clock, I was probably in Randy's room," he says. The two would talk about what was going on in their lives. "We just created a bond that way," he says. Grovdahl and the rest of Randy's care team also went out of their way to help "keep the hospital walls from closing in" on him. One day they gave Randy, "a heating and air conditioning guy," a personal tour of the power plant. "I wanted to see what runs this place," Randy says. "They said I was the first person ever to ask for that one." Then there was the time that Randy mentioned a craving for something not on the hospital cafeteria menu. "I said, 'Boy, a Philly cheese-steak would be good,'" Randy says. "So, he (Grovdahl) went shopping and got me … the true thin-sliced rib-eye." Another member of his care team took care of Randy's Christmas shopping for him two years in a row. And then there was a surprise candlelight dinner for Randy and his girlfriend that we highlighted last April. Randy's care team "decorated the room with flowers, white linen and candles" and donated money to help pay for the meal. "It was amazing that they did that for me," Randy told us at the time. "The room looked spectacular." "Spectacular" also might describe how he felt after finally being discharged from the hospital in January. "It's a miracle," he says of his successful transplant surgery. "I would not be here … if it wasn't for Mayo and the nurses. It's good to be alive and feeling good." You can see video of his warm sendoff from the hospital below. Do something to keep us feeling good by sharing your comments below. Then, you can use the social media tools to share this story with others.